Boost your computer’s speed, power, and stability with advanced PC tune-up. Protect and tune your computer – automatically. 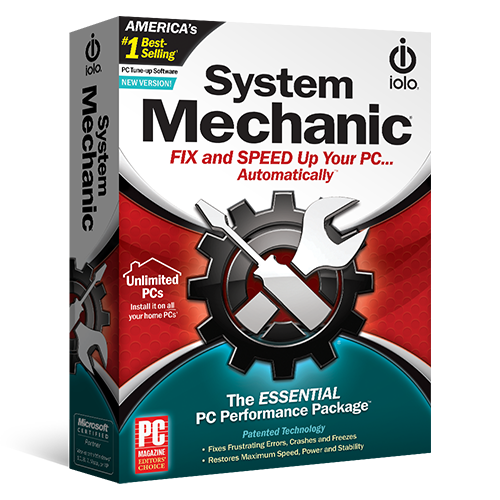 Combining 4 award-winning iolo PC tune-up and data security products. 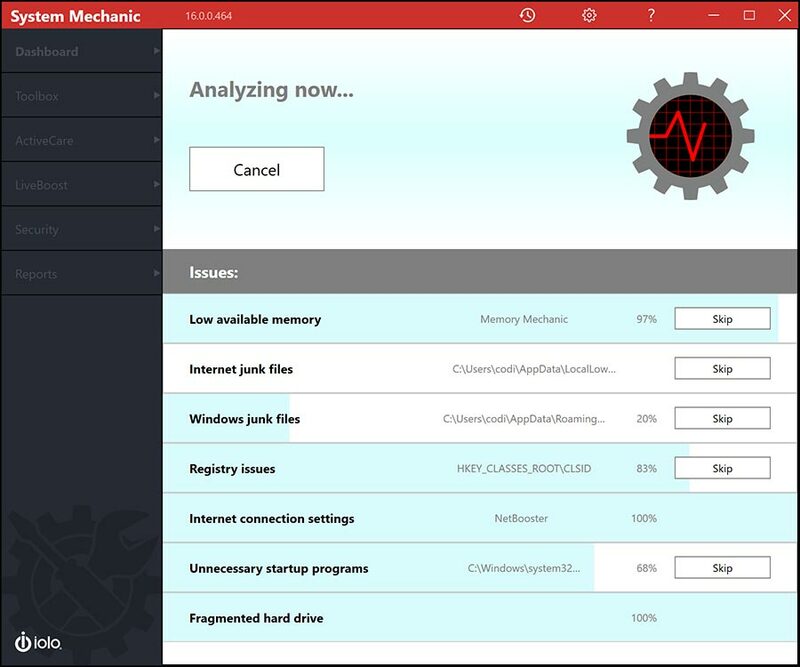 Automatically delete junk files left behind by untidy programs, system freezes, and sudden restarts. 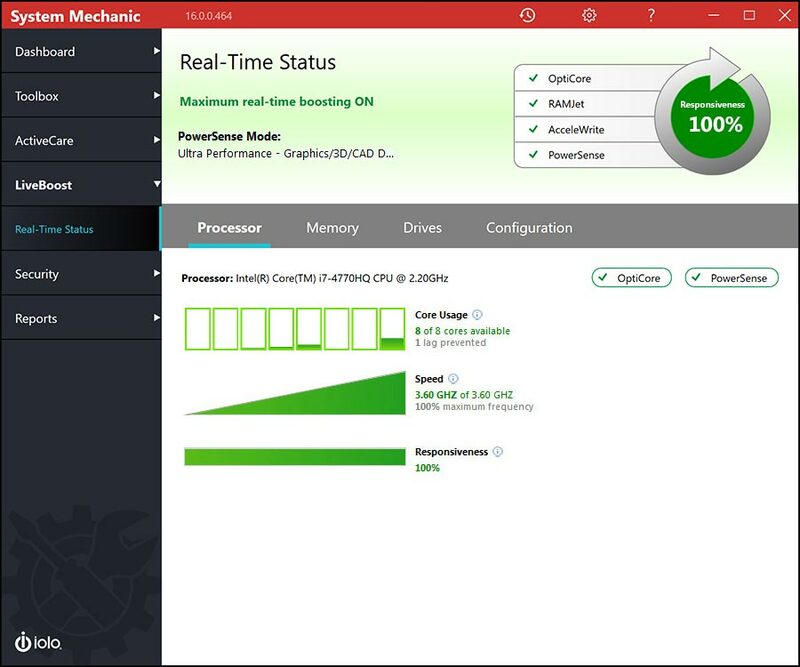 Easily fix hundreds of errors involving the hard drive, system components, installed software, hardware, and more. 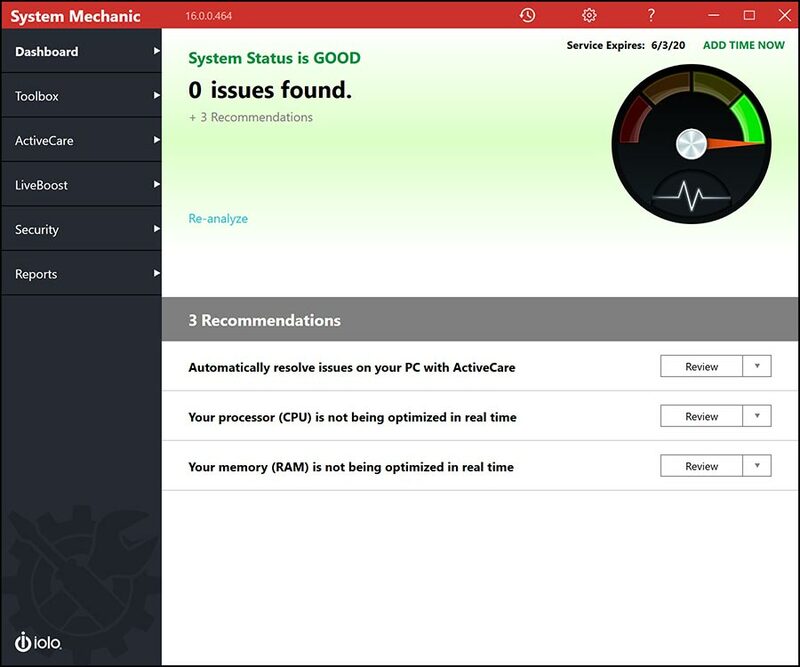 Patented ActiveCare® technology runs in the background, fixing and optimizing your PC during periods of inactivity. It never interrupts with schedulers or messages, and stops the instant your system needs resources for other tasks. Improve Windows startup, your internet connection speed, and download times. 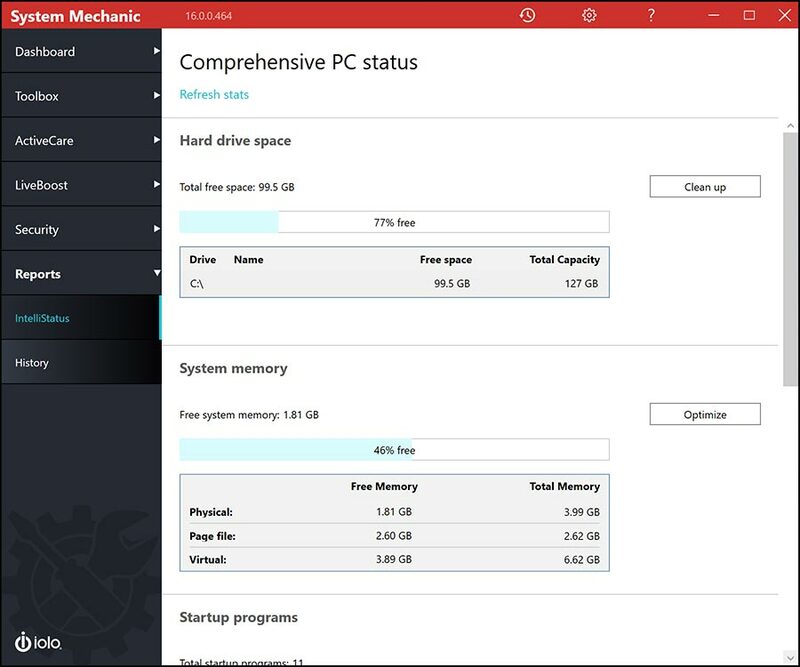 Get the most out of installed programs. 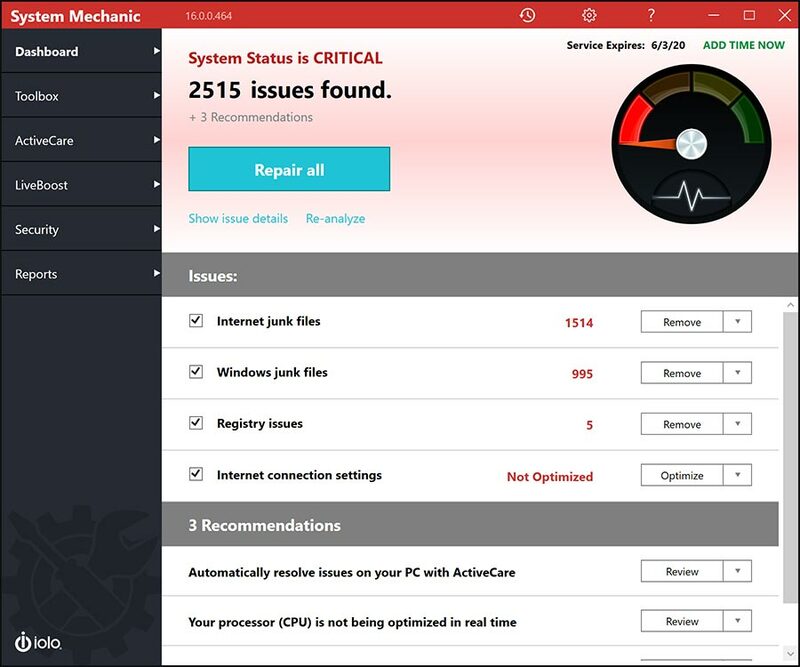 Automatically repair Windows security flaws that leave you vulnerable to hackers and identity thieves. System Requirements: System Mechanic runs on 64/32-bit versions of Windows® 10, 8, 8.1, 7, 1 GB of RAM, 60 MB of free hard drive space.